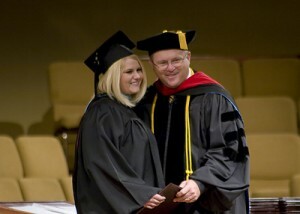 Last week, West Coast Baptist College saw its thirteenth graduating class enter into His harvest. 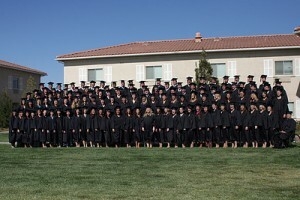 We have said that from the very beginning, the goal of WCBC has not been students but rather graduates. It is a thrill to see students come to Lancaster each fall, but it is a much greater joy to see them finish strong and begin serving in ministry. As I brought the commencement address on Wednesday morning, I challenged these graduates to simply consider Christ with their lives. My daughter Kristine was among the 130 graduates this year. I am proud of her and her testimony for the Lord. She has a sweet spirit and a love for people that the Lord is going to use in a great way. As each graduate walked across the platform to receive their diploma, I was reminded of all the love, sacrifice, and prayers that has been poured into each of their lives. I’m thankful that God has allowed me to enter into the labour of their home pastors and parents, and now we all anticipate what God will do through the graduates of West Coast Baptist College.